There are few things as delicious as a roast pig. Crispy skin, juicy fat, tender meat. Yummy in my tummy. 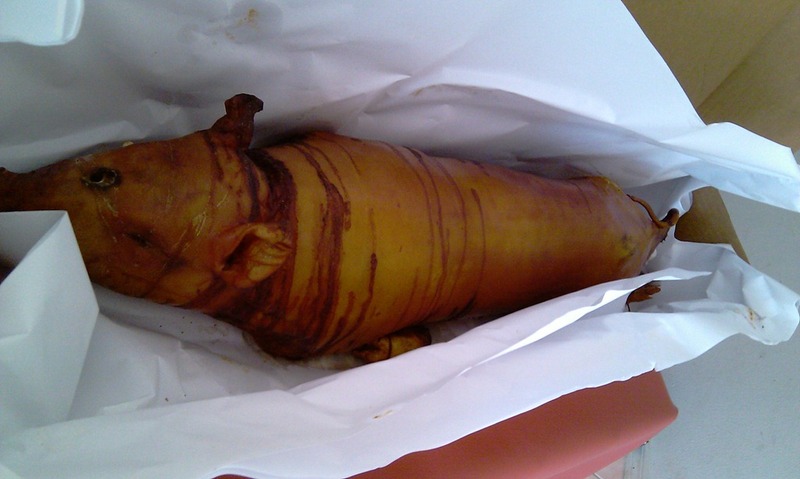 The pig above is is “lechon” (suckling pig). One of my favorite types is crispy pata. Both ways common in the Philippines.